I am so excited to introduce this couple to you. Mr. & Mrs. Jones are very special to me because Mrs. Jones is my beautiful cousin. As you all know I am just now really launching my business in photography and this is my FIRST Wedding and I was so excited and nervous all at the same time. I definitely learned some tips and have some things I want to improve on for next time. 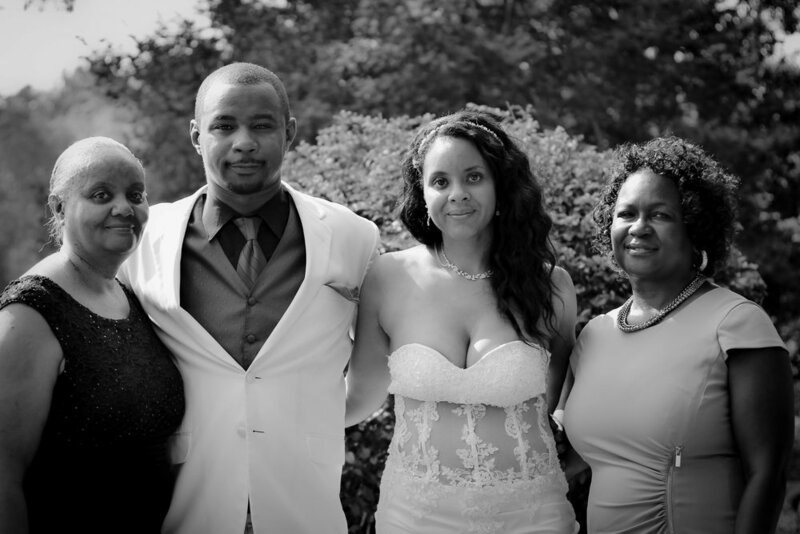 The wedding took place at a beautiful lake house in Salem, SC. It was just gorgeous. Small intimate wedding full of family and tons of love. I want to go back out there just to take pictures of the property. These are just some of the pictures. I know there is room for improvement but overall I am happy with the outcome. Please share any tips, pointers or comments that you may have. I love feedback and I am open to help. Thanks again for taking the time to stop in and please like, share, follow and comeback. Oh yeah and Book me!! !